STURDY & DURABLE: These quality plastic hangers are made of high grade ABS plastic. Extremely durable, well made and excellent value. These are stronger than the cheap plastic crap you'll find at the discount department stores without costing too much more money. SPACE-SAVING DESIGN: With a thickness of 0.25 inch, the hangers take up little space. VARIETY OF COLORS AVAILABLE: Gold, Silver, Grey, Navy, Burgundy, Black and White. MEASUREMENTS: Lower length 16.75 in. Upper Length 3.75 in. Width 0.25 in. Height 6.25 in. Weight of each Hanger would be about 3 ounces. Ybm Home Inc. plastic hangers are made of high quality abs plastic, this durable and smooth plastic hanger will make your closet neat and organized. It will brings you convenience suitable for suits, coats, pants, shirts or other accessories. Organize your massive garments with Ybm Home plastic hangers now. 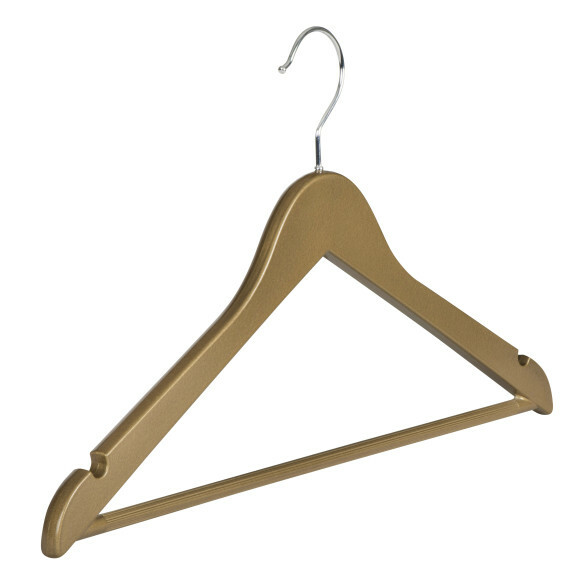 Ybm Home will bring you the highest quality hangers for the most affordable prices. Ybm Home believes that you deserve to get the best without overpaying in price. Ybm Home will continue to search for the best and most beautiful items for less.